Jonathan Epstein is on Wendy’s WOW List of Trusted Travel Experts for his expertise and connections in England, Ireland, and Scotland. The reviews below are from real travelers who’ve taken trips that were arranged by Jonathan and monitored by Wendy. Don’t miss Jonathan’s Insider’s Guides to Ireland, Scotland and England. For my trip to London, Jonathan Epstein discussed my options in great detail and once he determined my style, he zeroed in on choices and prices expertly. All of our reservations were detailed and uploaded including many extra attractions and restaurants for free time. He was available and prompt and I could not have asked for better service. Their input and expertise on various tours helped us avoid lines, go at the best times and maximize our experience. Only took us 6 months to get this review submitted from our European trip in June 2018. 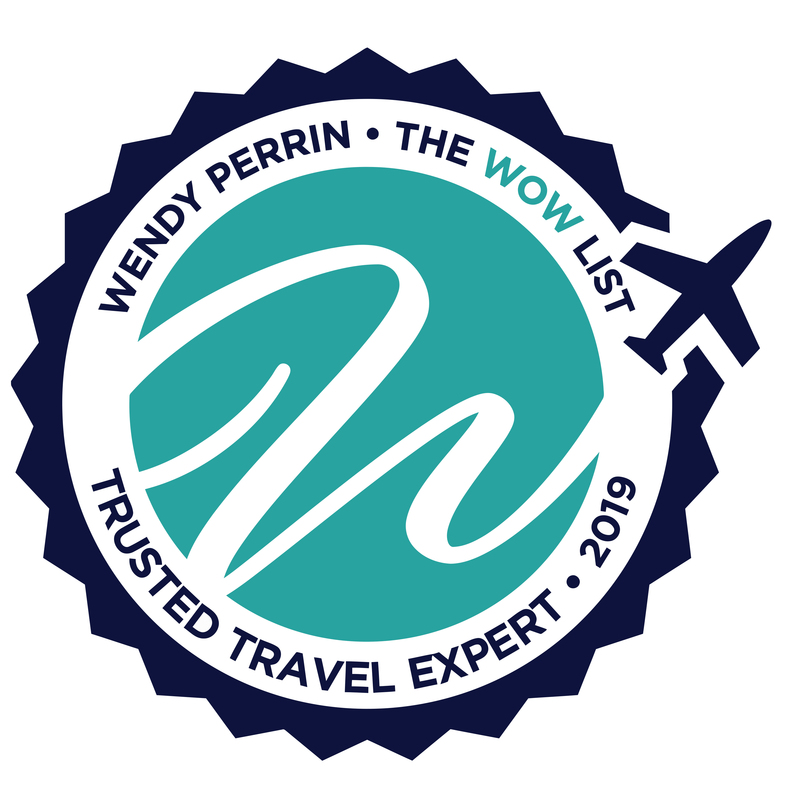 We have used Wendy Perrin’s Wow list several times now and have had nothing but exceptional travel planners help us craft unique and personalized itineraries. Jonathan helped us completely plan and book a 10-day tour of Ireland with stops at the K-Club in Kildare, The Kilarney Park Hotel in Kilarney and a final stop in Dublin at the Westbury. Quick review of each of the properties — The K-Club and Kilarney Park Hotel were amazing properties with great service while the Westbury had great service but the rooms were underwhelming. Their input and expertise on various tours helped us avoid lines, go at the best times and maximize our experience. We left the driving and logistics of our entire trip on the island to their recommended drivers/guides which we highly recommend. Both drivers we had were amazing (unfortunately we lost our notes with their specific names – our apologies because we would really like to recognize their contribution to making our trip amazing)! They streamlined and customized to our tastes and we avoided a lot of crowds and got to see and learn about several things that we would have not had otherwise. We had a few missteps during our trip that Jonathan and his team stepped up quickly and professionally to remedy and make right. We would recommend Jonathan and his team for any Ireland trip. Pre planning was great. The phone call, the itinerary, the revised itinerary and the final itinerary sent to us prior to leaving. The properties they booked, were, mostly, great. Unfortunately, everything they did I could have done myself and they did not add value to our trip. Quite the opposite, as we were extremely disappointed. There was nothing WOW, VIP, extraordinary nor special they did. I feel the need to weigh in here. I believe it would have been challenging for anyone not familiar with Scotland to arrange this trip. It’s not easy to find the loveliest properties in Scotland that are priced within the budget that the Grays gave for this trip (including the 20% VAT tax), much less properties located near the types of castles and distilleries that they wanted to visit. Without Jonathan’s input, it would have been tricky to figure out which distilleries to choose, accurate drive times, how many nights to spend in each spot, the details of hotels’ different room categories, etc. It also would have been hard for the Grays to secure a private driver/guide with the same high degree of knowledge and flexibility (and a Mercedes sedan). The Grays’ trip budget did not allow for VIP experiences. Jonathan says he explained this to the Grays at the start. He offered them VIP experiences at the distilleries and Scotch Malt Whisky Society, for example, but each time they chose the standard option. At their Edinburgh hotel, he says, they did receive a complimentary gin/ whiskey master class, thanks to Jonathan’s relationship with the hotel. That said, I probably should have advised the Grays from the start to arrange this trip themselves: In the WOW List FAQs—see FAQ #4—I explain when travelers should not use The WOW List. I want to apologize to the Grays for not advising them better and to thank them for sharing their experience because there is an important lesson here that many travelers can learn from: Especially when we are headed to expensive countries, it’s important to align our trip expectations with our trip budget. Jonathan and Nicole provided excellent guidance in balancing our scotch tasting trip with history and country experience. They booked all our meals and arranged everything so it was a seamless, stressless vacation. * Tomatin – the guide Ken was excellent. As we had heard the distillery process tour many times by the time we came here, Ken did a great job of explaining the process on a different level- very “user-friendly “- found the right words and comparisons so that we all could understand the process. Also, Tomatin allows you to taste some whiskey from the cask that you cannot buy at home- you can then pick which ones you want and they’ll bottle it for you. * Edradour- my husband just loves the whiskey and the people there were very helpful picking out something he would like to take home. * Lindores Abbey- this is a relatively new distillery that is just in the “spirits stage”. It was a good place to fully realize the investment made in each distillery from both a monetary and time basis. We mixed our own spirits here- adding herbs etc to their base spirit. It was fun and again informative. We loved driving through the magnificent countryside where you can go miles and never see another car. We fell in love with the Highland Cattle. Visiting Culloden was a highlight. I had much less knowledge of Jacobite history than my husband, but we all learned much from our few hours there. We toured the museum and the grounds. It was an emotional experience. We enjoyed the castles – like Blair Castle and especially enjoyed seeing the walls of armaments. We loved the bar at Torridon! The bar itself is beautiful and the selection of whiskeys and liquor incredible. We thoroughly looked forward to cocktail hour after a long day of touring! We enjoyed all the food in Scotland, from the breakfast buffets to tea and scones. Our favorite dinner was at Gleneagles- the Strathearn Restaurant. We loved the ambiance with the piano and bass player, excellent service and fine food. But the evening was very special for us as about 7 years ago, we took our children to Gleneagles for Christmas. We had a tour of the extraordinary wine cellar and met a charming female sommelier who shared with us some of her experiences. Fast forward 7 years and we asked the male sommelier if he knew of the woman we had met on our last visit. He said – yes- she is now our cellar master!!!! While she was busy coordinating a special dinner in the cellar, our sommelier let her know we were there and she came up to spend some time with us and reminisce. She did remember some of our wine stories! It was our last dinner in Scotland and it could not have been more special. While my husband and I had never seen Outlander, our friend had and we were very happy to have visited “the stones” and “Castle Leoch”- a fun Scotland experience! We look forward to going back to Scotland! Jonathan was excellent. He steered us in the right directions, in particular, how many nights to stay in each location. We got a room upgrade at the Dylan which was super nice. We had no destination problems. Our trip was the most marvelous trips we have ever taken. One of our company manufacturers have sent us all over the world, so we have visited numerous places/cities/countries. Our week-long London trip is now our all-time favorite, without hesitation. Jonathan & Nicole created the most marvelous itinerary for our first trip to London. The Milestone Hotel was simply superb. We have never stayed at a more personable accommodating hotel: concierges all obliging/helpful, Cheneston’s breakfast & lunch, and the Stables Bar excellent food/service, and our accommodations lovely. The Milestone was everything Jonathan and Nicole said it would be and more. The location could not have been better for walking everywhere we wanted to go and catching the Tube/Oyster Pass. Two times we were with a Blue Badge walking tour guide who was personable, knowledgeable, and also our driver for the countryside tour to Bath and other selective stop-overs was excellent as well. When we return, and we will! we’d ask for the same guides. Pub/Taverns/Restaurants that were recommended were excellent choices ~ Favorite of “locals” and would return to them in a heartbeat. The Game Bird at the Stafford London was excellent dining. At the Queen’s theater, we were part of their celebration on October 8th for the 33rd anniversary of Les Misérables production @ the theatre! And that doesn’t happen every day. With marvelous seating, thank you very much, Jonathan and Nicole, for that! For their entire London itinerary creation, there wasn’t one thing that we didn’t love and cherish. I’m probably leaving something out, but start to finish for our London 25th Wedding Anniversary trip, it was simply splendid. Jonathan and Nicole coordinated our lovely Dublin trip 1 1/2 years ago ~ that also was again perfect hotel locations, walking tours and countryside driver and recommendations were all wonderful. They are the best ever Trusted Travel Agents anyone could use. We feel very blessed to have found them. Nicole did a fabulous job arranging a great itinerary and also pairing us with a driver/guide who truly made our trip extra special. All the accommodation and dining recommendations (which Nicole also booked!) were exactly as we expected (& as Nicole has explained). The pace was what we wanted and we saw a large amount of Scotland away from the tourist spots. We will absolutely recommend Nicole and Jonathon. Also, the travel app they have with the itinerary on your phone is such a handy tool. We would not have been able to see what we did if we had driven ourselves and appreciate their recommendation to have a driver/guide (well worth the extra money). One of the best holidays we have had in a long time. Highly recommend Nicole who was extremely responsive to all queries and provided great advice. Our trip to Ireland to celebrate our 25th anniversary was a wonderful experience. Jonathan Epstein and his assistant, Nicole, put together a great itinerary, provided great insight and advice, and had a very reasonable and transparent fee structure. They were very accessible by phone and email throughout the planning stages. The most valuable part of this trip was the driver/guide. Initially, hiring the driver through Jonathan’s team appeared to be at quite a premium over other luxury driver services we could source on our own but, based on Jonathan’s strong encouragement, it proved to be the best part of our experience. Not only are you driving on the left in Ireland while trying to take in all the scenery, and depending on your itinerary, most likely contending with narrow, twisty roads, this is a professional, reliable and very knowledgeable driver and guide (possibly a relationship saver, Ha!) Some days of our itinerary were quite rainy or perhaps not really of interest and our fabulous driver had great alternatives. He told us so much about places we were seeing, history and just great personal insight to Ireland. He was able to make good restaurant suggestions based on what we liked (although, I also always had a good list of options). Although celebrating a milestone, we did not always experience an upgrade or even an acknowledgment but, crucially at the first hotel we were able to check in very early and had a lovely upgraded room (Dromoland Castle) and the final hotel of our trip was very generous with all kinds of “extras” and upgrades (Westbury, Dublin) which was a great ending to our journey. Jonathan most likely has particularly strong relationships with these properties versus the other ones we stayed at (one of which was particularly disappointing, The Cliff House, Ardmore). Everything went smoothly and we had lots of fun traveling around Ireland; hope to return and explore more! Jonathan and Nicole planned an amazing journey to Ireland for my husband, 9-year-old son and me. From our very first conversation on the phone, I was intrigued by the questions Jonathan asked about our travel styles and interests. This led to an itinerary that truly encompassed our interests and kept our son engaged and entertained. 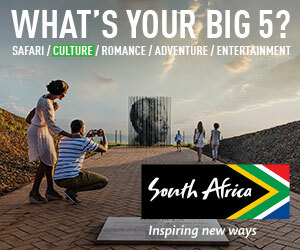 The accommodation selections were spot on and I greatly appreciated perspectives on where to save and where to splurge. Our guides and drivers were delightful, knowledgeable and provided great small additions to the itinerary along the way (a small chocolate factory in the Burren was a particular highlight). We won’t hesitate to use Jonathan and his team again on a future trip to Ireland, Scotland, England or Wales. I contacted Jonathan Epstein to help me plan a British Isles trip after we received a wedding invite to a dear friend’s daughter’s wedding near Bath, England. We only had 2 months to plan the trip, and Jonathan and his assistant, Nicole, jumped right on it. They charged a planning fee, which was increased, due to the close timing of the trip. I felt the fee was reasonable and well worth it, given his expertise in England, Ireland, and Scotland. We ended up planning a two week trip to England and Ireland. Jonathan gave me a choice of hotels but had definite opinions on some of them. I went with his judgments, and my husband and I were very pleased with each location he picked. In particular, Dromoland Castle near Shannon was very expensive, but Jonathan really wanted us to stay there. We were only there about 36 hours, but it was the highlight of our trip. We wished we had spent more time there, and loved every second of our stay. We had driver guides throughout our trip since we didn’t feel comfortable with the left side driving they do. Every driver guide and car was terrific—always prompt, helpful and knowledgeable. There were no hiccups ever in picking us up or getting us to any airport on time. Jonathan also gave us a list of restaurants, which they booked for us almost every night as we wanted. We were never disappointed with any of the choices, and each restaurant had a little special quality to it. It was very helpful to us to have so many details taken care of. They also used a travel itinerary app called AXUS, which proved to be extremely helpful, since it included every minute detail of our trip and was accessible on our phones. Of course, they also gave us access to a hard copy we could use as well. In sum, we had an excellent vacation, and are glad we used Jonathan and Nicole. The recommended drivers and guides were excellent and spot on. The itinerary was generally well conceived and balanced and responsiveness to travel glitches (we had a few minor ones) was excellent. As some other reviewers noted, this planner is very focused on extremely high-end stately homes type hotels (which were indeed amazing and at some of which we got special treatment). I wish they were more flexible to our requests for a more balanced itinerary as I think I would have preferred substituting for some of the very high-end hotels in the country more modest hotels in towns or close to sites. I wasn’t even sure I even needed a travel expert for a quick trip to Ireland. Then I remembered how easy travel is with the support of a Wendy Perrin approved specialist. So, I went to the list and contacted Jonathan Epstein. I told him that I was picking my daughter up from a summer semester in Dublin and she wanted to see Belfast and we didn’t plan to stay in the country too long. He had some excellent ideas and off we were – to a fabulous trip. I started in Dublin and thanks to Jonathan’s relationships, I was treated like a Queen at the lovely Westbury Hotel. Its a wonderful place with warm service, great location, excellent food and spacious rooms. I was on my own with no guide – which was perfect for me. I was able to explore at my own pace, using Jonathan’s suggestions. After 3 enjoyable nights, my daughter and I were escorted to Belfast by Philip – truly one of the most outstanding guide/drivers I have ever encountered. We stayed in the Culloden Hotel and Spa and immediately ran into local curmudgeon Van Morrison. He seemed very affable though… I think a curmudgeon is an act! The hotel was well appointed but service was a little lacking and breakfast was nothing exciting. That being said, it is well situated and the beds are extraordinarily comfortable. My daughter and I walked around Belfast ourselves and then we had a full guided day with Philip the next day. He took us along the Antrim Coast, to Carrick-A-Rede Rope Bridge and then to Giants Causeway. He suggested The Bushmills Inn right near Giants Causeway for lunch. It was very charming and my daughter ate the Pheasant beaters nosebag – a dish that Philip had told us all about. Philip showed us the site of the 2019 British Open – Royal Portrush Golfclub in Antrim. It looks so beautiful and I think this quiet, relatively underdeveloped area will be everyone’s next discovery. Many Game of Thrones sites are in Northern Ireland and it really has a singular beauty. The next day, Philip was supposed to drive us to our next destination – Ballyfin. However, he wanted to show us the murals of Belfast first. He gave us such a great tour and an in-depth explanation of the neighborhoods, the Troubles, and the murals. It was fascinating and also very emotional. We learned a lot about a very complex situation. I am grateful I had such a sympathetic and forthcoming guide. Philip is a gem. Then we were off to Ballyfin. I could write a whole review on how perfect it is there. We had the good fortune to be there when the owner was there. He seems like a genuinely affable person. None of the staff acted any differently around him. They always demonstrated a very high standard of hospitality. Everyone seems happy and excited to share the beautiful property with the guests. There was no snobbiness and no stiff formality. It was an unfussy luxury which I am not sure I have ever experienced. The grounds are extensive and perfect for strolls and walks. The food is fabulous with personalized menus if you have allergies or preferences. My daughter tried shooting, archery and we both did a fun costume dress up dinner. There is a serene indoor swimming pool and a spa. I appreciated the free mini bar and that they would do 5 pieces of laundry at no extra cost per day. They left handy rain jackets in the closet for use while staying. Room service tea was provided at no extra cost. Touches like that went a long way for me. I really felt welcomed and appreciated feeling a little more like a welcome guest than a target of incessant fees. I would never have planned such an enjoyable trip on my own. I got what I wanted and much, much more. Johnathan Epstein and his team did a phenomenal job in every aspect of our trip to Ireland. First off they listened to what we wanted to see, do, and eat. They then made recommendations to fine tune all the details with the understanding that we could change things on the fly, thus giving our guides the flexibility to show us the many hidden gems that Ireland has to offer. The hotels were all 5 star with Adare Manor being one of the best hotels we have ever stayed at. They booked our dinners, golf, and excursions that required tickets. No hassles, no anxiety, just fun. We have used several of your recommended tour companies and Jonathan has exceeded all our expectations. That being said Ireland was just a beautiful country with so much to see and explore. For a trip of a lifetime, you would be remiss if you didn’t contact Jonathan. Jonathan and Nicole planned a wonderful trip to west Ireland within a short time. Jonathan and Nicole planned a wonderful trip to west Ireland within a short time. We loved the country, the hotels and their suggestions for our itinerary. Jonathan Epstein planned a fabulous 2 week trip for me and my husband to Ireland and Scotland. Our highlight was the 4 night trip on the Grand Hibernian luxury train through the Irish countryside. In Dublin, the Westbury was a great hotel – helpful and friendly, and the lobby venue was lovely. (And yes, we received early check-in!) The car service in Dublin took great care of us promptly and with care. Our favorite guide was Robert in Edinburgh. He really went above and beyond to make sure that Tom was delivered in a timely fashion to Kingsbarns for his golf game, then proceeded to show me a lovely time in St. Andrews. And our last nite, Patrick Guilbaud was a highlight. Jonathan and Nicole took the time to understand my family and what was important for each of us to experience during our vacation. They had a creative approach, took feedback and incorporated it into the overall plan. Based on our experience, it’s obvious they know the area and set us up with a great driver who knew the best places to go in Ireland. Our “Hold a Baby Lamb” experience on Slea Head Drive will be a forever-cherished family memory. I typically plan our vacations but after this experience, will use a Wendy Perrin approved planner in the future. Everything was effortless. Thank you. Jonathan, Nicole, and his team did a great job on our trip to Ireland, and we would use them again. It would have been very difficult and time-consuming to have made these many arrangements by ourselves. They tailored our trip to our particular interests very well. Jonathan advised us on better areas to go to in Ireland in July, thus avoiding large crowds for the most part. We had a ticket purchase problem prior to the trip that was fixed speedily, as well as a missed online toll payment deadline during the trip that they quickly assisted with. They were great at making suggestions but also adapted quickly to our preferred choices. We enjoyed the Celebrated Experiences such as the Burren Walk and Oysters with Guinness at our Dublin hotel. This was our first trip to Ireland and we wanted an overview of the country, with an emphasis on historical and religious sites. Jonathon and Nicole asked all the right questions and created an itinerary tailored to our particular interests and travel preferences. (E.g., one of us is 6’4” and bed size is critical!) Due to flight delays, we arrived a day later than scheduled. Jonathon handled the late-night communications, and our driver-guide rearranged plans to enable us to see most of what was originally planned. We are so glad we took Jonathon’s advice to hire a driver-guide for our trip! Ireland’s narrow roads are a challenge and we enjoyed – and saw – so much more by not having to navigate or drive ourselves. Our driver Donal was one of the highlights of the trip; he was easygoing and friendly and took the time to discern our interests and likes. He then showed us unplanned things he thought we’d enjoy and did research on historical topics of interest. He patiently answered our questions about all things Irish, from history to golf to politics. He even found my ancestral village! The experiences and hotels recommended by Jonathon and the tour guides he arranged were, as the Irish say, “bang on.” We don’t think we would have found our way to Mount Falcon Estate in County Mayo; it seemed a bit out of the way. However, it was our favorite hotel – ambiance, cool things to do (like falconry), and fabulous food. We were upgraded to a four-room suite (writing room, anyone?) and treated like friends at a house party in the country. Other highlights of Jonathon’s planning included our private walking tour of Dublin, a sheepdog exhibition, and the Galway food tour. Our well planned and executed trip made each day an effortless journey of discovery. This was our second “curated” trip, and we’re sold on the value added by a good trip specialist like Jonathon. Jonathan did everything we could have asked for during the collaborative planning stages for this trip over a four-month time frame. (We recommend beginning the process several months earlier given the growing popularity of this safe and spectacular part of the world.) There was no need to contact Jonathan or his very competent assistant Nicole while we were traveling because of the detailed suggestions they made and the follow through during our time in Scotland and Ireland. We had some special requests for a sedan driver and experienced local guide during a part of our trip in rural western Ireland. Jonathan was extremely knowledgeable of the area and able to make the arrangements for a three-day private tour that exceeded our expectations with a guide that even helped us meet a distant Irish relative. Our June 2018 trip to Ireland was extraordinary in every way. Each hotel was unique and complemented our surroundings in the best possible way. The activities that Jonathan Epstein recommended for our family – a moonlight kayak excursion on a seawater lake filled with bioluminescence algae that flickered when the oar touched the water and the equally unique but totally different walking tour of East London’s street art and Sunday markets- made the trip memorable and will stand alone in our family memory of travel experiences. The value Jonathan and his talented deputy Nicole provided was the deep knowledge of Ireland and London, their innate ability to suggest areas and activities that were perfect for our specific travel situation and the connections and relationships they have with the people and places we visited. Every restaurateur treated us special and every hotel gave us personal service. I am convinced you cannot replicate the experience on your own or with another travel service that specializes in a broader geographic region. Jonathan Epstein and Nicole Baratelle were fantastic! The hotels they suggested were all different and equally wonderful. We wanted to stay in a variety of types of hotels, and they delivered—from Cliveden outside of London, to Slaughter Manor in the heart of the Cotswolds, to the Crescent in Bath. The one thing they all had in common was outstanding staff who seemed to anticipate our every need. The drivers and guides were not only knowledgeable but incredibly personable. (But most importantly, we didn’t die in a horrible car wreck on those tiny roads in the Cotswolds, where EVERYONE drives on the wrong side of the road.) Jonathan put together a suggested itinerary of places for us to visit each day, and he was spot on. In addition, at the very last minute prior to our trip, we were able to obtain Rolling Stones tickets for a concert they added in Southampton. Jonathan and Nicole deftly made arrangements to work that into our schedule, and our driver for the day got us there in time (not a small feat) and we had a wonderful driver in a very comfortable car, who delivered us safely back to the Cotswolds. All-in-all, I will never travel to Great Britain again without first calling Jonathan and Nicole. This was my first time traveling to Scotland, and with limited time, I was keen to see as much as possible of the areas north of Edinburgh and into the Highlands. Jonathan and Nicole spoke with me to understand what I like and don’t like when I travel, and what I was wanting to the experience. They then developed the itinerary and via email, we varied it as more information came to light. Although I frequently travel alone, this was the first time I’ve used a driver/guide. They found not just the perfect person, Alan, but also developed a full itinerary that we could modify as needed. This trip was planned only a few months before I traveled. Their hotel and restaurant recommendations were excellent, and they managed to not just get excellent rooms, but additional perks as well. I loved the gin experience at the Principal Charlotte Square (Edinburgh), and having my very own turret in my room in Fonab Castle, Pitlochry – well that was a real treat! Alan, my driver-guide, has deep knowledge of the areas we visited – this meant that we could get off the motorways and into rural areas where I could photograph old homes, small towns and even animals. Edradour Distillery was the main one I visited & the tour of this family-owned business was fascinating. Despite having many miles to travel each day, I never felt rushed – nothing was too much trouble for any of the people I interacted with, including Alan. I felt safe and comfortable at all times. This was a fantastic 5 day introduction to Scotland and set me on track for the 3 week adventure cruise into the Arctic that followed. In late May, my husband and I traveled to Scotland for 10 nights starting in Edinburgh and then toured through the Highlands with a driver/guide. Our entire trip from the itinerary, accommodations, touring, meals and guide were all recommended and coordinated by Jonathan. It was our first time working with him and, simply put, we give him our highest recommendations and look forward to working with him again. There’s no way we could have planned this trip without Jonathan and his team’s expertise and efficiency. In working with them, I quickly felt like I could reach out and they would provide a strong point of view with their unfiltered, real opinion; I really appreciate that and it is why we quickly trusted their expertise. Also, they just “got us” upon our initial phone call and narrowed in quickly on a draft itinerary to discuss, based on our personalities and interests. Another quick piece of context: The last time we worked with an expert travel agent/country specialist was for our honeymoon back in 2011 (international trip); I located this individual through the recommendation of a very prominent, upscale travel publication. It was not a good experience; it was a phoned-in, cheesy itinerary, etc. Very disappointing. Based on that experience, we’ve hesitated to use a travel agent again and prefer to plan our own trips. When planning our trip to Scotland, my mom referred me to your list, Ms. Perrin. And let me just say, Jonathan and his team fully redeemed my trust in travel/destination experts. First off, his team is simply just organized, efficient & responsive. Everything from the itinerary “playlist” (that even had a mobile app) where we could easily access our itinerary, scheduled tours, restaurant reservations and other details like summary overviews and recommended sites, etc. for each location to the airport transfers, etc. that were professional, timely and went smoothly. Also, Jonathan and his team just “got us” from the outset and could quickly narrow in on a draft itinerary that would fit our personality, etc. and then quickly locked down accommodations at smaller properties with a small number of rooms. The itinerary and accommodations were spectacular and we could never have planned it on our own. Our driver/guide commented on how impressive and well thought out the itinerary was. He thought I had put it together….which I laughed at and told him that the itinerary and accommodations were the work of a professional. Jonathan strongly felt we should use a driver/guide for exploring the Highlands, if budget allowed, saying it would add another dimension to the trip. We took his recommendation, and we now can’t imagine not having traveled with our driver/guide, John. We instantly clicked with him, the car was an extremely comfy vehicle (important because we covered a lot of distance), and I feel like we met someone we will keep in future contact with. We learned so much about living in Scotland from John and also because he just got us, we could mold the day-to-day touring recommendations provided by Jonathan seamlessly as we went along. Additionally, we stayed at four hotels, as I mentioned. I really enjoy trying out different hotel properties and, wow, each was unique and top-notch. Jonathan also strongly suggested that we upgrade from a basic room at two of the locations, and doing so was worth every penny spent. Paying a little extra to have a view of the Torridon Hills with the property’s Highland cows and sheep, as an example, elevated the experience. Another small thing is that Jonathan, through his relationships, was able to get one hotel to waive their strict nightly minimum-stay policy. We also debated a restaurant reservation in Edinburgh that was a multi-course, prix fixe, creative-menu kind of a thing. Candidly, I was mostly worried my husband would hate it, and it wasn’t a cheap meal. Jonathan’s team said to definitely keep this reservation and, boy, it was not only a top memory of the trip but was placed onto my personal list of the top 5 meals of my life. I could give many additional examples, but I think I’m getting the point across. The itinerary itself and key recommendations made by Jonathan and team took the trip from good to excellent. I’d absolutely recommend Jonathan to others traveling to Scotland and look forward to working with him in the future. Jonathan and Nicole did an outstanding job of planning our tour through Scotland. During the planning stages, we had several phone calls and emails to narrow down an itinerary that would work for us. All of their hotel and itinerary recommendations were excellent. They quickly rebooked a hotel and activities for us after a hotel closure necessitated changes to our itinerary. They also engaged a guide/driver for us, John McElwee, who was truly outstanding. John is very knowledgeable about Scottish history, whiskey, restaurants, pubs, shopping and the best times of day to visit sites to minimize crowds and maximize photo opportunities. His advice and guidance during our daily activities allowed us to have the best possible experience. This was a memorable trip, and we are grateful to Jonathan’s team for their assistance. Jonathan Epstein and Nicole did a fantastic job helping us plan our tour of Ireland. The hotel recommendations and activity planning made this one of our most memorable trips. A couple of days into the trip, I wanted to swap rental cars for something smaller (Ireland back “roads” really are narrow,) they made all the arrangements. Excellent in every respect. Totally understood what we were looking for and implemented it. Very easy to deal with and the itinerary was easy to work with on the internet. All hotels, drivers, restaurants, and sights were perfect. This vacation to Scotland was our second trip with Jonathan Epstein and his team. We worked with Jonathan on our Ireland trip a couple of years ago. Jonathan and Nicole are delightful to work with and provide so much perspective and insight to the various options. We were three couples traveling together and Jonathan’s team worked with all of us to come up with an amazing itinerary. All of the hotels were outstanding and the restaurant and pub suggestions were exactly what we hoped for. We are all history enthusiasts and one of the best things about Jonathan’s team is the caliber of guides and drivers they use. An engaging, entertaining guide truly makes all the difference when you are “road tripping” through the countryside. Our guide, James Campbell, made our trip from Edinburgh through the Highlands a wonderful experience. I would not hesitate to work with Jonathan on another adventure! Stellar experience from start to finish. Understood from the moment of our first call what I was looking for, and captured it in a perfect experience for me and my daughter. Spot on pacing, guide matches, experiences. I’m a very independent planner, and this was my first use of an advisor. I was extremely tense in using my first advisor, but am so thankful. They understood perfectly what I needed in my annual trip with my daughter. I’m so thankful I engaged Jonathan and his team. A perfect Scotland experience. Highly recommend. Jonathan and his staff did a great job at uncovering what was important to all of the family members who were going on this trip. Their recommendations were right on target as they organized a quick 7-day trip to London & the Cotswolds. The guides we had were awesome and were able to sneak us into some areas the public was not allowed to see. They truly cared about making our trip special. Their recommendation to use private drivers for several of our venues literally eliminated the stress of driving (fighting on which way to go) and was worth every penny! An incredible Trip! I asked Jonathan to create a distillery tour of Scotland for me and my son. Starting with the selection of an excellent guide (best guide I’ve ever had on any trip), hotel and dining reservations, the selection of the right distilleries and adjustments along the way, this trip was executed flawlessly. The trip also included opportunities to learn about Scottish history and a visit to Gleneagles for a hawking experience that was unforgettable. This is the second time I’ve used Jonathan and his team and I will absolutely use them again for any future travel to the UK or Ireland. They did a great job and absolutely deserve a spot on the WOW list. This is my fourth time using the list (the first was its predecessor while you were at Conde Nast) – – it has worked well every time. Thanks! I'm so glad I listened to him. Jonathan really stressed the importance of spending time in the countryside of Ireland and I would have opted to be based out of Dublin and taken side trips to the country. I’m so glad I listened to him because we loved the Adare Manor and the cliffs which would’ve been hard to get to as a day trip. Jonathan truly knows this country, the things to see and where to eat we had great food, which I was not expecting in Ireland. Jonathan Epstein and his assistant Nicole did a wonderful job planning our trip to Aberdeen. We loved it. We had some snow and a good deal of rain, but that is to be expected in March. However, when the sun came out, Aberdeen was beautiful. We visited some very nice castles, a distillery and other sites Jonathan recommended. Even though most of the castles were closed on weekdays in March, we were able to visit Fraser Castle on Saturday. We drove around and looked at the landscape, the old stone houses and the lovely golf course. We walked in the old town and FootDee and the city center, and visited Slain Castle, too. We were delighted with the Marcliffe Hotel, which Jonathan strongly recommended even though our first inclination was to go elsewhere. We are happy Jonathan insisted on Marcliffe. It is one of the best hotels we have stayed at in all our years of travel. The rooms for both us and our family were very comfortable, clean, roomy and quiet, which was perfect, and the service was excellent. The food for breakfast, lunch, and dinner was marvelous, and service in the restaurant, the Drawing Room, and the front desk was wonderful. The owner and all the staff were very friendly, accommodating and helpful. We are grateful that Jonathan was able to get us an extra room at the last minute for our family. Also, our friends and we loved Cafe Boheme. Thanks to Jonathan for that recommendation too. And thank you, Wendy, for recommending Jonathan. Helen Tepper, Visited Aberdeen, Scotland, March 2018. We recommend that any of your travelers who are considering a trip to the United Kingdom rely on Jonathan to plan and execute their trip. He will take care of all the details perfectly. Best trip ever. Just what we wanted and more than we expected. We had experiences that were once in a lifetime. The guides were friendly, conversational, and educational. They were great listeners and quickly developed a feel for us. ( Wayne and Michael, thank you so much!) The sights were spectacular, the restaurants were outstanding, and the history lessons were fascinating. Can’t wait to book our next trip with Jonathan and his staff. They are true professionals. For me, Jonathan and his staff were not only helpful; they were indispensable. Don’t think about visiting Ireland and Scotland without contacting these fine folks. My son was studying in Cork for a semester so we(my husband and two other adult children) went to visit over Thanksgiving. We had a great time visiting several areas of Ireland (our first trip). The guide and hotels were fabulous! Jonathan made sure we had plenty of activity and unique experiences. My husband and I had the perfect honeymoon in London thanks to Jonathan and Nicole! Their attention to detail, well thought out itinerary, and excitement for our trip made it one we will never forget! Thank you so much for making our first major trip as a married couple so spectacular! Jonathan put together a fantastic trip with just more than two months notice. After a half hour of preliminary conversation, he was able to garner a quick read of our travel style (quick moving, long days), including the types of hotels and rooms we like, and preferences for guides and touring. We were thrilled with the results: loved the hotels (we were upgraded in all properties) and our driver guide (highly recommend for Ireland) was a perfect fit. I should also mention that Nicole, Jonathan’s assistant, is incredibly responsive and a pleasure to work with. We expected rain on our trip but did not anticipate a hurricane! While we only lost one day of touring (spent a relaxing day in the spa), we were not aware that our next hotel had closed due to lack of power. Lucky for us, Jonathan and Nicole were right on it and had us booked with an upgrade at another 5 star property. I would definitely use Jonathan for a future trip and highly recommend him. Be prepared to provide an honest view of how you like to travel and he will tailor an experience to meet your needs. Our trip to Scotland was absolutely wonderful! It was a VERY last minute trip to look at the University of St Andrews for my son who is currently a Senior in high school. Honestly, we had the most magical time on our short trip. Johnathan got on the phone with me immediately, he was so enthusiastic and intuitive. Everything from soup to nuts was seamless and top notch. We took an amazing walking tour all through Edinburgh and we loved every second. Our hotels were beautiful and exactly what I was looking for. Johnathan and his staff were phenomenal and my son loved the University so much I have a feeling there is a good chance he will be attending next year. We will definitely use Johnathan for every trip back!!! Thank you so much, Wendy for providing this amazing service. I just recently found out about it and it’s what I’ve been looking for! Jonathan and Nicole did a great job of planning our trip to Scotland. They talked with us and asked questions to find out what our interests were and then came up with a fantastic itinerary for us. The hotels and restaurants they recommended were amazing. We would certainly use them for another trip. Jonathan and Nicole were an absolute pleasure to work with, and the trip to Ireland was absolutely wonderful. All of the hotels and the staff were superb, especially at Dromoland Castle. The locations of all hotels couldn’t have been better for what we wanted. I can’t say enough about the quality of service provided throughout. Thank you, Jonathan and Nicole! ​We loved all of the hotels they chose and really enjoyed our private driver/guides. It was a great itinerary and we had a fabulous time. We were traveling to Dublin to drop off our son at Trinity University. Jonathan and his Celebrated team helped us with a city visit to Dublin and then we were off to Scotland to celebrate our “empty nest”. They spent a lot of time learning about our hobbies, our interests and our budget for this trip. They came back with a comprehensive itinerary for us that included multiple cities and a couple rounds of golf. Perhaps the single best piece of advice they gave us was: Hire a driver. HIGHLY recommend you spend at least a small portion of your trip with a driver – they know the country inside/out and can make last minute detours/changes seamless and stress free. The special perks at the hotels that Celebrated customers garner were also very fun and I looked forward to them all. Several months into the planning our focus for the trip changed and several items had to be eliminated from the itinerary (no golf) – these were done with grace and alternatives put in place with no issues at all. And during our trip, we cancelled an itinerary event two days before we were supposed to go (a whisky trail tour). Driver was contacted and alternatives put in place as if they had always been a part of the itinerary. The drivers were all great. Because they know the area so well, they are able to direct you to some spots you would be hard pressed to find on your own. All of Celebrated suggestions were fantastic. Even though this was not a golfing trip, we did get to visit top golf courses and because we were at St. Andrews on a Sunday, we were even allowed to walk the course. He’s still talking about the picture we took on Swilcan Bridge. In short, our trip was just about perfect, and we couldn’t have done it without Jonathan’s help. In fact, we will definitely be back to Scotland and dream also of an Italian vacation. We will not hesitate to contact you when we are ready to start planning! Everything about our trip to Ireland went just as we had hoped. Jonathan Epstein and Nicole on his team were very helpful with the planning and organizing. Learning from them that U2 was performing in Dublin the night of our arrival was such helpful information in arranging our itinerary. Our driver, Dave Matthews, was friendly, knowledgeable, and flexible. We stayed in wonderful hotels and had some great meals at restaurants that Jonathan and Nicole recommended. Good balance between structured time with our guides and self-touring. We had a wonderful time, due in large measure to the local knowledge and resources of our travel planner! The itinerary was nearly flawless, and while we flipped several touring days due to weather, we stayed very true to the plan. Generally, we felt that there was a good balance between structured time with our guides and self-touring. We booked a trip to Ireland pretty much at the last minute for a diverse group in terms of age, interests. Jonathan totally got us — and was even cheerful about some last-minute feedback from the group that entailed re-booking part of the trip. A grand experience. Johnathan & Nicole on his team put together a great itinerary for our trip to the UK and Scotland. In addition to finding outstanding properties for us to stay in, their recommendations on what to see and where to go along the way were instrumental in our overall experience. We also really appreciated that our complete itinerary, including destination details, sights to see and map links were on an app so we didn’t have to bring any paperwork with us. We’ve traveled a fair amount, and this trip was particularly well planned. The pacing was just right, as was the variety of experiences offered and places seen, and the selection of hotels was excellent. The activities selected for my 11-year-old son were particularly appreciated. Service was generally excellent – there was a blip, but agent took care of it immediately. They stuck to our budget yet also got us some great places. I wasn’t that interested in visiting the UK – it was at our daughter’s request – and we learned and enjoyed it so much we’d seriously consider returning. We traveled to England in June 2017 for several days prior to taking a cruise. We had a very specific agenda for our stay that included some obscure spots. Jonathan and Nicole easily accommodated our itinerary and also rounded it out with suggestions of their own. These included stays in two beautiful and atmospheric hotels somewhat off the beaten path. The driver/guides they arranged for were excellent at their jobs and were also terrific company. Everything was well-planned and well-done, and everyone was easy to work with. Found his knowledge of the area extensive and able to form a fabulous memorable trip. Hotel selections tour guides and restaurant suggestions were spot on. Jonathan and his team were very helpful in both the planning and actual trip. We would recommend them for someone wanting to see Wales and England. We would suggest anyone working with them be actively involved with questions, preferences, dislikes, etc. They are very responsive. Jonathan Epstein and Nicole were a pleasure to work with and we appreciated very much their enthusiasm, flexibility, and availability, especially when we had to make last-minute adjustments to our itinerary due to business conflicts. We fell in love with Ireland! We had a fabulous family trip with our adult children and we are happy to share our thoughts with you. We loved Gregan and Ashford Castle. In fact, our room at Ashford Castle may have been the nicest room we’ve ever stayed in with a stunning lake view. While our rooms at the Westbury in Dublin were a little disappointing, the team at the hotel couldn’t have been nicer in trying to accommodate us. Patrick was a superb driver and a pleasure to be with. However, our expectation was that he would do more guiding and that simply wasn’t the case. In contrast, Pat Liddy in Dublin and David Byrne who drove us to Glendalough were superb. Pat may have been the best guide we’ve ever had. Another highlight was our hike with Shane in the Burren. He was a character extraordinaire and while at first, we weren’t sure what to make of him by the end of the day we were in awe of his wit and “charm” of the Irish sort. Other highlights were hiking the Cliffs of Moher, Diamond Hill, Croagh Patrick, playing golf with the boys and the falconry at Ashford Castle. All in all, it was a fabulous and memorable trip. Jonathan Epstein planned our trip to Ireland for June 2017. He and Nicole listen to what we were interested in for our trip and asked questions to pinpoint our interests and what were important must haves for us. They provided a preliminary itinerary and asked that we review it and provided them with feedback. The itinerary was everything we wanted and so much of what we did not realize we may want. What truly made the trip was the driver/ guides that Jonathan arranged for us. They were amazing and made our trip to Ireland more special under their care and guidance. They took us off the beaten path, introduced us to local craftsman and out of the way eateries. Jonathan’s choice of drivers made our trip very special and memorable. The advice I would give to anyone using a travel planner is the more information you give them about what your expectations and desires are the better your customized trip of a lifetime. we loved our trip of a lifetime to Ireland. Thank you, Jonathan and Nicole. Will definitely use Wendy’s WOW list to plan our next trip of a lifetime. Thank you for providing us with this group of special people who are the best at planning extraordinary travel adventures. Jonathan was Fantastic!! He and Nicole listened carefully to what we were interested in, asked great questions to clarify the of kind of trip that would best suit us and came up with a wonderful itinerary. They suggested and arranged for all our hotel reservations ( we loved the hotels he recommended), got us excellent drivers and guides, suggested interesting sites, got the entrance tickets when appropriate and recommended and made dinner reservations for us at some wonderful restaurants. I was impressed with how available and responsive they were to questions big and small, and was particularly impressed with how well they know Ireland. We had a Fabulous time thanks to their excellent advice and planning!! Planning was excellent. suggested places to stay and interesting sights to see along our travel path. Pre-arranged tickets and scheduled adventures for us. Documents sent were clear and concise and had all of the information sent in advance in case any questions had were taken care of well in advance. The trip went very smoothly and we had a great time on our travels. The travel team took care of what we asked and suggested several items that we could do while in that area of travel. All of the places to stay were very well represented and booked in advance for us. will definitely recommend them to others traveling. Jonathan was great! The first thing he arranged was a phone call so that he could better understand me and my husband’s likes, dislikes, interests, etc… From there I left it in his hands, I felt extremely confident with what he had told us and felt that he completely understood what we were looking for. Our trip was fantastic! From the moment we were met by our driver/guide at the airport to the moment we were back at the airport for our journey home. All of his recommendations were spot on for us, from the hotels to the guides to the restaurants to the drivers. He also arranged little perks, room upgrade, champagne in our room, fruit and chocolates. I would highly recommend Jonathan and his assistant Nicole to help anyone that is interested in taking this trip or in any he specializes. He is extremely knowledgeable, professional and patient. I will be sure to use him again for future travel. Jonathon and Nicole helped us to plan a very personalized trip that met our needs. All questions for trip planning, what to expect, bookings and general questions were answered promptly – including a few quick questions during our trip. Our itinerary was complete, yet allowed for flexibility – necessary with weather and our own changes in energy levels! We appreciated their advice on planning the itinerary so the pace of our trip was not hectic, but well-matched to our travel needs. Our guides and accommodations were great – it was fun to be surprised and amazed with each new stop and person we met! Decreased stress and increased pleasure by working with this team – win, win!! I think that Jonathan did a great job with what we had him help with. All of the hotels he recommended were fabulous and beautiful with terrific service. I really wanted to experience the manor house type of hotel and we did. I am not sure that I would do that again but that is part of my learning experience in planning travel. The restaurants he recommended and made reservations at were all great but a couple of them were “fancier” than we prefer. Still wonderful food but we don’t really care for the “Michelin star” experience . . . which we didn’t know but now do. Jonathan and Nicole on his team, were very responsive during the planning process. Always back with an answer the same day or at the latest the next day if I had a question at the end of the day. The perks that they provide were appreciated . . . special wine complimentary one place, cream tea another, picnic lunch another and airport transfer another. All of the hotels were aware we had booked with Jonathan and I’m sure that was reflected in the service we received. First and foremost, Jonathan knew, much better than I did, what kind of Ireland trip would make us happy. I had several ideas of where we wanted to stay, and, happily, Jonathan patiently but emphatically convinced me that I was picking the wrong places. For example, I told him I wanted to stay in Kilkenny; and he said that we should stop there for lunch on our way back to Dublin. Boy — was he right. He picked spectacular, but low-key (which is what I wanted) hotels, with extremely friendly service, great locations, and lovely rooms and facilities. I will recommend him to our friends, and I will ask him to plan trips for us when we go to any of the countries he works with. We could not have been happier! Everything we discussed with our travel specialist ahead of time was followed and put into a wonderful itinerary for us. The hotels were excellent and the cities chosen for us to visit really gave us an idea of England and Scotland. Traveled to London, Bath, York and Edinburgh in May, 2017. Just returned from another vacation planned by Jonathan Epstein and Nicole Baratelle on his team. As on our other trip to England and Scottland, it was perfectly planned and organized, as expected. We had never been to Ireland before and we entrusted Jonathan to make recommendations on places to stay, restaurants to eat at, and attractions and cities to visit. Every one of their suggestions turned out to be outstanding. Every one! Their knowledge and expertise led us to some outstanding private experiences at Guinness and Kilbeggan distillery. We were also fortunate to have been recommended to try our hand at falconry at Ashford Castle which was one of the most compelling things that we have ever done. As usual, the planning process with Jonathan and his team is thorough. They consult with you before the trip and ultimately plan a dedicated and customized itinerary which specifically fit our needs in every way. There is frequent interaction as needed and they always promptly respond to any communication. Overall, this is a high-end luxury travel company, with highly intelligent, responsive and accommodating people who will always work hard to put together a customized trip of a lifetime. We have never been disappointed by their efforts. We would and will use them again and would recommend them with our highest possible regards. Thank you so much for helping us experience many of the joys of Ireland on our first trip to the country. It was simply outstanding. We absolutely love Galway. While our time in Dublin was short, we got to experience many of the treasures of the city. We loved the way Jonathan put the schedule together, to allow the diving portion with David, followed by the walking tour with Brandon. Both guides were outstanding, and our lunch was historic and terrific. Then we were off to Gregans Castle. What a jewel. Everything about our time in this area was just the best and the hotel is on our all-time favorites list. Outstanding for us at the Castle was the evening we had dinner in the Pub at the hotel. We sat at a table in front of the fireplace and had one of the most romantic dinners ever. What a memorable experience. Our guide, Brendan, was terrific. He knew the area so well that he was suggesting things for us to do while we were in motion. He gave us many options and while we wanted to do them all, we had to give up something. Brendan, now our lifelong friend, was a person with whom it was easy to spend time. He was kind and personable, entertaining and relaxed, and it was a joy to spend time with him. When we come back to Ireland we will definitely ask for him to be with us. One of the other treats we had was a walking tour with Shane, in the Burren. His knowledge of the area was terrific. He is a local farmer but he knew the area so well and gave us a lot of knowledge about the flora and fauna of the area. Everything we did was enjoyable, educational and exciting. And I got a renewed appreciation for Irish whiskey. We realize that our time in Ireland was limited so we are encouraged to come back to Ireland soon. To sum up, if I was replanning this trip, I would not change anything relative to our guides and accommodations. Everything was perfect. We do look forward to returning to Ireland and will reach out to Jonathan for assistance. Whatever your expectations are for a glorious trip to Ireland, Jonathan Epstein and Nicole exceed anything you can imagine. Laying the groundwork with numerous conversations about our desires and intentions for this holiday, Jonathan nailed it. Our hotel, dining choices, countryside driving tour, walking tours and itinerary could not have been more perfect. Of all our travels, our Ireland/Dublin vacation is our favorite! We are ready to return with our grown children and contact you again! Jonathan Epstein and his team exceeded anything we expected. I would highly recommend them to anyone visiting Ireland. A friend who used Wendy Perrin’s WOW List for her travels overseas recommended. I, as well, would highly recommend your experienced travel agencies as well. I have spoken to numerous friends who used our local travel agencies for out of the country travel and all experienced many disappointing issues. Not so with Jonathan Epstein and his team ~ quite the opposite, I am pleased to say. Jonathan and his team were very professional and responsive to my desires for the trip. I was completely satisfied and could not have planned the trip without him. Jonathan Epstein and his team at Celebrated Experiences are tops in the field. It is almost hard to believe the company is a big as it is because they make you feel you are their only client. They quickly come up to speed and learn exactly who you are and what you want and work to customize your trip around these preferences. There seems to be no part of the United Kingdom that they are not experts in. They keep very current and are very on their game. Jonathan is sharp and witty and smart – and is someone I will work with again. I wished to travel to a remote and obscure forest in Western England in October and Jonathan planned everything around just that, combining luxurious restaurants and inns with woodsy hikes and chauffeured tours. Marvelous and memorable. High touch planning at the last minute and over an holiday weekend—outstanding. Jonathan and his team were wonderful. •Starting with our flight delay and change from Shannon to Dublin airport, they helped us to recover. •They were spot on to have us start driving in remote areas, where traffic was minimal; our first time driving on the left, worked out fine. •The itinerary they prepared for us met our desires, mainly in the beautiful, remote West, particularly since it was short notice in a shoulder season. * Pamela’s been recommending Jonathan and Wendy Perrin to her friends since our return. Many haven’t used a travel planner before. * We learned how essential having a “free day” was to enjoying the two weeks of touring. • We never felt that we were pushed along on a tour. • High touch planning at the last minute and over an holiday weekend—outstanding. The travel specialist had everything organized to the theatre tickets in advance- so we were able to enjoy our trip to its fullest..
Jonathan Epstein helped us plan our trip to Ireland so well that we did not need any help from him when we arrived. . Every detail was covered and we were happy with every hotel, restaurant, pub and sight seeing venture that we did. We were in Ireland last month for nearly 3 weeks. We landed in Shannon and traveled the coastline of the country and returned home out of Shannon. Our highlights were Galway and Killarney. Jonathan and his assistant, Nicole Barratelle, were a pleasure to work with and i would highly recommend them to anyone. We will use them again. These special touches have done much to enhance our travel experience. This is the second trip that Jonathan Epstein of Celebrated Experiences helped us plan, our first being Ireland in May 2016. Once again, all of Jonathan’s itinerary and hotel recommendations were spot on. As with the Ireland trip, we felt very warmly welcomed and well taken care of at the hotels, enjoyed several room upgrades, and a special “Celebrated Perk” at each place. In addition to the excitement of discovering a new destination, we have found that these special touches have done much to enhance our travel experience. As to the planning process, Jonathan is very generous with his time, thorough and prompt. We look forward to his assistance in planning a trip to England and Wales in the future. Consultant was very timely in responding and put together a trip for us very quickly with our short time constraints. It was a good trip, with very good guides and accommodations. There was no contact with the consultant during our trip, and they suggested that we use our guide as a first resort if there was a problem. A good consultant, but not a “bespoke” consultant. Knowledgeable and professional, but not the hand holding type. Nicole and Jonathan were great. The trip was well-designed and we got to do all the things we wanted to do. Everything was great. The icing on the cake was our driver Martin. He could not have been better. I have previously worked with one of your travel planners for our trip to Spain, so I felt confident in reaching out to your travel planner for a last-minute request to plan a 12 day visit to Scotland. We were not disappointed and Jonathan managed to book our accommodations in every location that we requested. We were flexible in our travel dates and we arranged to rent a car and drive ourselves, so this left the property bookings, restaurant bookings, golf times and event tickets to Jonathan. We were also celebrating a 39th wedding anniversary and Jonathan arranged personal greetings at each property – a lovely acknowledgment. We had a little confusion at check-in at one of the properties and I immediately contacted Jonathan (5 or 6 hour time difference for him). He replied within minutes and every effort was made to rectify the confusion – I appreciated his availability and personal attention to our concerns. We had an amazing holiday in Scotland – a return to family roots for me and a memorable journey to celebrate our anniversary. We had an exceptional visit and we definitely plan a return visit in the near future. Even the weather was wonderful – sunny every day with one day of mist and rain to add to the ambiance! We continue to be impressed with your travel planners and will not hesitate to consult with them for future journeys. Having not travelled the area before Jonathan was not only a time saver, but did an excellent job of selecting properties and activities that would work for a very diverse group of people. It would have been impossible to replicate that without his on the ground knowledge of the market. Jonathan and his colleague Nicolle really helped us the best of a 1-week trip in August 2016 to Sussex and London. Their advice about itinerary and hotels was excellent, and they arranged for extra services as needed. When my wife was hospitalized a month before the trip and it was not clear we would ultimately go, they got one of the hotels to push back their cancellation deadline. And when her slow recovery led us to contemplate several itinerary changes, Jonathan’s advice, reflecting his knowledge of the area, kept us from making changes that would have made the trip much less enjoyable. We only had two and half days in Edinburgh but Jonathan and his team made sure they were amazing, from the hotel to the sightseeing. Their restaurant recommendations in particular were fantastic, and every night we had incredible dinners. Celebrated Experiences put our trip together on very short notice. They picked wonderful hotels and guides and listened to our preferences and got all the choices just right. They introduced us to things we would not have done otherwise. They were conscious of our budget and made appropriate recommendations. Their response time in putting the trip together was excellent. It was a great trip. We enjoyed the trip of a lifetime as we traveled from London, England to Gleneagles, Scotland. Jonathan and Nicole at Celebrated Experiences were amazing to work with. They thought of every detail, were incredibly professional, and helped us enjoy a fabulous worry-free vacation. I highly recommend them to anyone and would use them again for our future travel needs. Jonathan and his associate, Nicole, planned a truly perfect trip for my husbands birthday trip. They listened intently to our likes and interests and everything they booked lined up perfectly. Every hotel was gorgeous and beyond expectation. The staff at all were wonderful and each place unique. They gave us excellent suggestions on things to see and where to eat. Every guide and driver they booked was warm, friendly and knowledgeable. I really don’t have one negative thing to say. It was a truly phenomenal experience and we owe it all to Jonathan and Nicole. I would recommend them in heartbeat. I had hesitated to contact a Trusted Travel Expert for our trip to Scotland, because as an add-on to a business trip, most of our travel arrangements were already predetermined. And we were leaving in about 3 weeks!! But Jonathan Epstein of Celebrated Experiences was gracious with his time and expertise. He helped me fill in the gaps of our itinerary, and it made a huge difference in our enjoyment of Edinburgh. He secured a wonderful room at the George Hotel, with a marvelous view and a king bed, which was not available on their website. He was able to get great dinner reservations for us — with excellent tables, I might add. He helped arrange a birthday celebration at one of the best restaurants in Edinburgh, and it was a great finish to a wonderful time in Scotland. He and his staff were responsive, cheerful and extremely helpful. I would highly recommend his services — if he did a job this great with hardly any advance warning, I can only imagine what a fantastic trip he could plan with a decent amount of lead time. Jonathan and Nicole at Celebrated helped me plan a great last minute vacation for my family across the Scottish lowlands and highlands. The arranged a great set of hotels, provided knowledgeable and entertaining guides and arranged just the right amount of activates to keep us busy without overwhelming the vacation. I highly recommend their services and will certainly use them again when my travels take me to the British Isles. Jonathan Epstein with Celebrated Experiences was recommended by Wendy Perrin for our family trip to Scotland. Usually I plan trips myself for two of us…but this was going to be six and I wanted a private guide, etc. We spent two wonderful weeks in June, 2016 covering a lot of Scotland. Jonathan was terrific and very responsive and thorough. Every place they booked us into was amazing. Plus our guide was so responsive and adaptable. I can’t recommend Jonathan and Celebrated Experiences enough. The only advice I have is to spend the time upfront with them on the phone as I did to be clear about your desires and budget. My husband and I just returned from a truly once-in-a-lifetime, 8 day trip to Scotland planned by Jonathan Epstein and his fantastic team. Jonathan came highly recommended by my sister who had used Celebrated Experiences to plan her family’s vacation to England. Jonathan spent a considerable amount of time speaking with me about our interests, expectations, budget, etc. and within a couple of days provided a detailed proposed itinerary. Knowing that we were interested in golf, history, castles, unique food experiences, and whiskey tasting, Jonathan and his team provided detailed information about the best golf courses, must see historical and scenic sites, fabulous restaurants, and distilleries with the best tours/tastings. The hotels (St. Andrews Old Course Hotel, Culloden House, Inverlochy Castle and Gleneagles) were beyond amazing and we received upgrades and welcoming gifts at each hotel. Jonathan strongly recommended hiring a driver for a good bit of our trip and we are so glad we did. Our driver, Davie, was simply amazing and his knowledge of all things Scotland was endless. If you want to see Scotland by car and are interested in its history, traditions, landscapes, wildlife and so on, I highly recommend following Jonathan’s advice about getting a driver. It was probably the best decision we made when planning our trip. Jonathan and Nicole always responded quickly to our many questions. In addition to taking care of the hotel, airport transfer and driver arrangements, they booked my husband’s tee times, my spa treatment, a top notch distillery tour/tasting at Balvenie in the Speyside region, and made our dinner reservations. Nicole’s restaurant recommendations were spot on! If you make it to Scotland, do not miss dining at The Peat Inn and Forgan’s in St. Andrews, Culloden House in Inverness, Inverlochy Castle, and Andrew Fairlie at Gleneagles. In sum, our trip to Scotland was perfection. We even had gorgeous weather! I don’t know if Jonathan and his team can take credit for that but they certainly deserve credit for our 5 star, effortless, and truly memorable Scottish experience. We can’t wait to use Celebrated Experiences again! A lot of thought was given because we were travelling with a 6 year old. We loved the hotels, and the guides and drivers were great. Jonathan’s recommendations were very helpful. The only hiccup was the issue of the Manor House Hotel not allowing my grandson to participate in the restaurant at dinner, which we learned about just before leaving on the trip. However, Jonathan and his team intervened and made it work. If not, they were willing to find another site. Our trip went very smoothly. Everything on our trip went very smoothly. The hotels were all terrific. The staff were friendly and went out of their way to help us. Particular thanks to Gidleigh Park Hotel for cleaning our hiking boots so well that we got through customs with no trouble (we had hiked in a pasture with sheep so had they to be screened so to make sure we didn’t bring anything harmful back with us). I think our favorite was Dormy House—warm and quirky. Loved all the sitting rooms with fires—perfect for cream tea or after dinner drinks. Beautiful view of the water at Hotel Tresanton but St. Mawes is a little bit too small and too out of the way. It would have taken at least an hour each way to get to restaurants outside of St. Mawes due to the narrow roads and waterways. So we ended up restricting ourselves to dinner in St. Mawes which has relatively few restaurants. Also, we went hiking on the northern coast of Cornwall which had views of the rocky coastline I had always associated with Cornwall. Might have been easier/better to have stayed there both for hiking and eating. The list of things to see was very helpful and we visited many of the places that were suggested. Many of the sites were part of the National Trust. The first was Hidcote Gardens which remains the most spectacular garden we saw the whole trip. The woman there convinced us to become members of the National Trust because you get free entry into their sites. For us, it was definitely worth the 105 pounds. We went to Hidcote, Chedworth Roman villa, Stonehenge, Trelissick Gardens and several car parks near hiking areas that were National Trust sites that charged for parking. I’m probably forgetting some others. But we calculated that we probably came out 25-50 pounds ahead. So it is something worth suggesting to others who might take a similar kind of trip. The car drop-off and train to London went fine and the transfer to Heathrow was very smooth. Overall an excellent experience. May 21 – June 5, 2016. We just returned from a 2 week, outstanding first trip to Ireland, traveling from Dublin to Belfast and all along the Wild Atlantic Way, and Jonathan totally delivered on all counts. His extremely personalized touring strategies and accommodation recommendations were spot on. From complimentary room upgrades and special culinary and experiential perks, to the genuinely warm and solicitous welcome and treatment we received, we truly felt like VIPs! Jonathan is actually the 8th Wendy Perrin Trusted Travel Expert we have used, and while they have all been very good, he has been unmatched in delivering tangible benefits while on the trip AND – along with his top-notch assistant Nicole – in his speedy promptness in replying to all of our comments and questions, before, during and after the trip. One of Jonathan’s recommendations, based on our specific issues and goals, was to hire a driver/guide. We were rather hesitant to do so but decided to take a leap of faith. Our expert driver/guide enhanced our trip exponentially. In addition to eliminating the stress and fatigue of driving, and being able to focus on the magnificent scenery and photo ops instead of the road, he was our personal and direct link into the heart and soul of the Irish people and culture. After 12 greatly productive and fun days together, we felt we were saying goodbye to a friend. (Tip: if you are susceptible to motion sickness while being a passenger in a vehicle, try using snugly and properly placed “Sea Bands” on your wrists. They worked to perfection!) We are now looking forward with great confidence and anticipation to a trip with Jonathan to Scotland in September, and we hope to have Jonathan design a trip to England for us in the near future. The bar has been set high by this first rate agency! My wife,son and I just got back from our best vacation ever. We spent 12 days in Scotland and Ireland in a trip completely arranged by Jonathan Epstein. Everything was perfect!!! We talked with him briefly in February as to cities we wanted to visit and he came back two days later with a complete suggested itinerary including hotels,where to visit in each city,tee times for three days of golf in St Andrews, suggested restaurants,and suggested tours ie guided walking tour in Edinburgh. We said go and everything was booked. All arrangements he and his team made were executed flawlessly ie if car service was due to pick us up at 9AM ,they were there at 8;45 AM. The four hotels he recommended were all fantastic. We would recommend him highly and if we ever decide to return,we will use him again. On a scale of 1-10(10 being the best),I would rate them an 11. Thanks Jonathan for making our trip so special;something the three of us will never forget. A wonderful trip to Ireland. We had a wonderful trip to Ireland. We were all extremely grateful for the expertise that made the trip for the 5 of us (that included ages 26 to 62), so enjoyable and successful. We would without hesitation recommend Jonathan Epstein and his team. Thank you for making this all possible for us. We loved Scotland and Jonathan Epstein was very responsive to us and our style of travel. He was eager to visit after the trip to find out about any problems. He did a great job! Thanks for recommending Jonathan Epstein . Although my husband and I have traveled for years and love to discover places for ourselves, it was a total pleasure to have Jonathan wisely advise us as to our itinerary in Ireland, making it so easy to find the most comfortable and central home bases from which to make our daily explorations around Killarney, Cork and Dublin. Nicole on Jonathan’s team rearranged hotel reservations when we asked, just days before we left, with good cheer and total efficiency and gave us a list of interesting sites, restaurants and shops. We were well taken care of. Always listen to Wendy's Trusted Travel Experts! Jonathan Epstein along with Nicole and his team at Celebrated Experiences were able to negotiate mid-trip with our Lake District hotel to reduce our stay to one night so we could go back to a rescheduled Manchester United game (initial game cancelled from a bomb scare – good grief!). Quite a feat, since the hotel is a 2-night minimum accommodation! Great trip with a lot of great help and ideas from Jonathan. His restaurant suggestions were top notch; the hotels greeted us and treated us like royalty. He was very, very helpful. I’ve often found that the true measure of a service provider is when something goes awry. We had such a thing happen for us during the trip and Jonathan and his staff were very much front and center in helping us resolve it. Highly recommended and would absolutely utilize the service in the future. Great enthusiasm and easy team to work with. Picked out some great hotels and places to see. Top-notch experience. Our family had a great time on our recent trip to London with the help of Jonathan Epstein. He picked the perfect hotel and had great suggestions about activities and dining. We would definitely work with him again. I reached out to Jonathan and he planned a fantastic trip for us to Scotland, London and Wimbledon. From the outset, Jonathan assured me that all of our needs would be met. He was attentive to our needs, and was extremely communicative throughout the planning process. We just returned, and every single thing that he promised came through without any glitches or complications. Every guide he arranged for us was outstanding! Every day my wife and I would say that the next guide could not top the previous one and it seems like it got better every day. Every single prearranged private ride was on time. My tickets to Wimbledon were waiting for us without incident and we ended up having some of the best seats on Centre Court. The hotels were first-class and he arranged for us to have special amenities at every stop. I have used over a dozen of Wendy’s special travel advisors, and I can honestly say that Jonathan is one of the most thorough travel experts that I have ever dealt with. I would use him again without hesitation and I would recommend him to any traveler who wants first-class, high-end service. He has a great team that supports his office and travelers’ needs as well. This is a first-rate company and Jonathan clearly sets the tone. I have been to Africa, the Middle East, Europe and all over the world, and I cannot remember a time when I have taken a vacation where every single detail was exactly as expected, and in most instances exceeded expectations. I will forever be appreciative to Jonathan and Celebrated Experiences for making the memories of this trip ones we will cherish forever. We have recently returned from a last-minute trip to Scotland. Realizing that bookings are tight at this time of year, we decided to contact Jonathan Epstein. Although he warned us that it might be difficult to arrange, he rejigged our planned itinerary in order to fit the available hotels (I needed accessibility) in June with 10 days’ notice. He was also able to book a round of golf at Gleneagles’ Queen’s course for my husband, and also told us how to go about getting a last-minute round in at St. Andrew’s, which actually worked! My husband was thrilled. We had a great ten days on the road, bookended by a couple of days in both Edinburgh and Glasgow. We were so well taken care of by Jonathan and his team-couldn’t have done it without him. When planning our recent trip to Ireland for my family of six, I wanted to make sure that every minute and every dollar were well-spent. The hotels and itinerary had to meet a variety of expectations and preferences, from relaxing in a pub to exploring ancient ruins. I would not have been able to create such a wonderful experience without the expertise of Jonathan Epstein at Celebrated Experiences. We had an exceptional seven-night trip in June 2015 to some to the best locations in Ireland, including Galway, Killarney, and Dublin. Jonathan helped me plan a reasonable driving itinerary, with specific must-see stops along the way. We ended each night in a great hotel and used Jonathan’s advice to plan for the following day. Planning this trip with a travel expert reassured me that I was making the best choices for my family and ensured that we all had a memorable trip. We were both fortunate enough to have ten days in England on our way home from India and to have found Jonathan Epstein through this site. During our first conversation, Jonathan asked a lot of questions about our travel goals and experiences. He came back with thoughtful suggestions (from dinner at Great Fosters between flights from Chicago to Delhi) to manor house hotels in Devon and the Cotswalds that were very special and perfect for what we were looking for on our reentry to the West. The materials provided by Celebrated Experiences were great in helping us prioritize sites and day trips. The rooms, service and overall interaction with hotel staffs were special. We were celebrating our anniversary and people could not have been nicer. Johnathan and his team provided a true value added experience and we would strongly and most highly recommend them. I travelled with my 19-year-old son and we had a wonderful time. The hotels were excellent, and the driver/guide was wonderful. I would use Jonathan again. My husband and I spent the first week of September 2014 in Scotland—a first for us. Thanks to Celebrated Experiences, we had a fantastic time! Jonathan spoke with my husband and me several times to get a feel for what we might like to do prior to planning our itinerary. He and Patricia patiently answered dozens of questions for me prior to the trip. We spent time in Loch Lomond (Cameron House), Inverness (Culloden House), and Edinburgh (G&V). The hotels were beyond my expectations—I was sad to leave each one! Through Celebrated, we had a fabulous guide (John McElwee). He had great suggestions about what to see and where to eat, and he was genuinely fun to be around. We will definitely use the same guide—and Celebrated Experiences—for our next trip to Scotland.